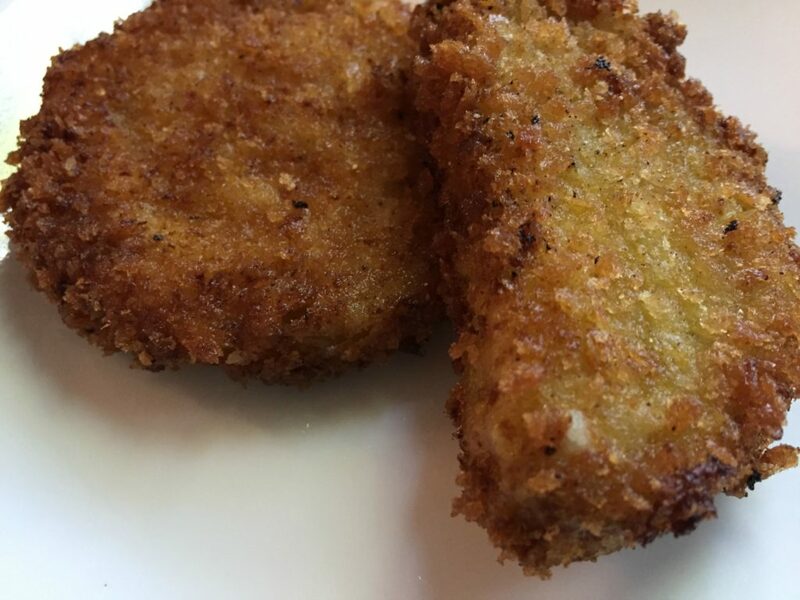 We have been wanting to try fried green tomatoes for years now. 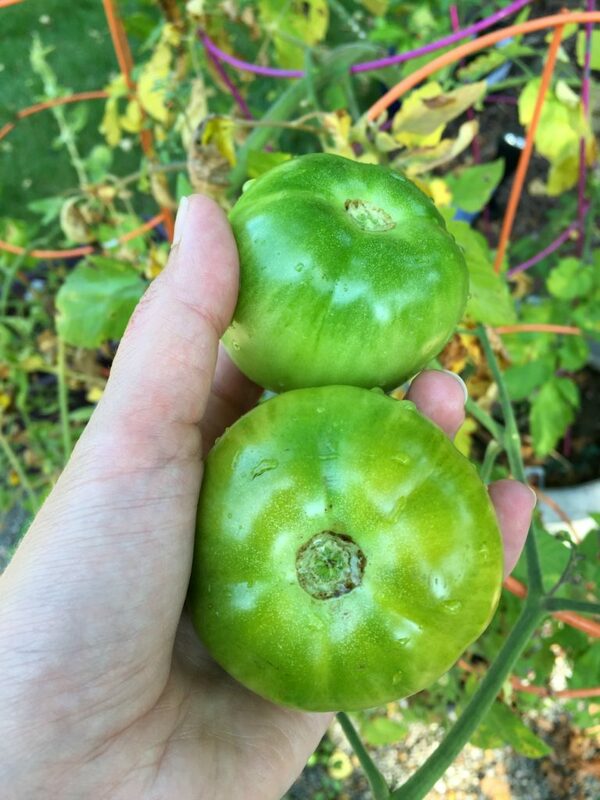 I had been eyeing some green tomatoes at the farmers market, and then a friend of mine offered a bunch from her garden, so we decided to make a batch. I love how pretty the tomatoes are! 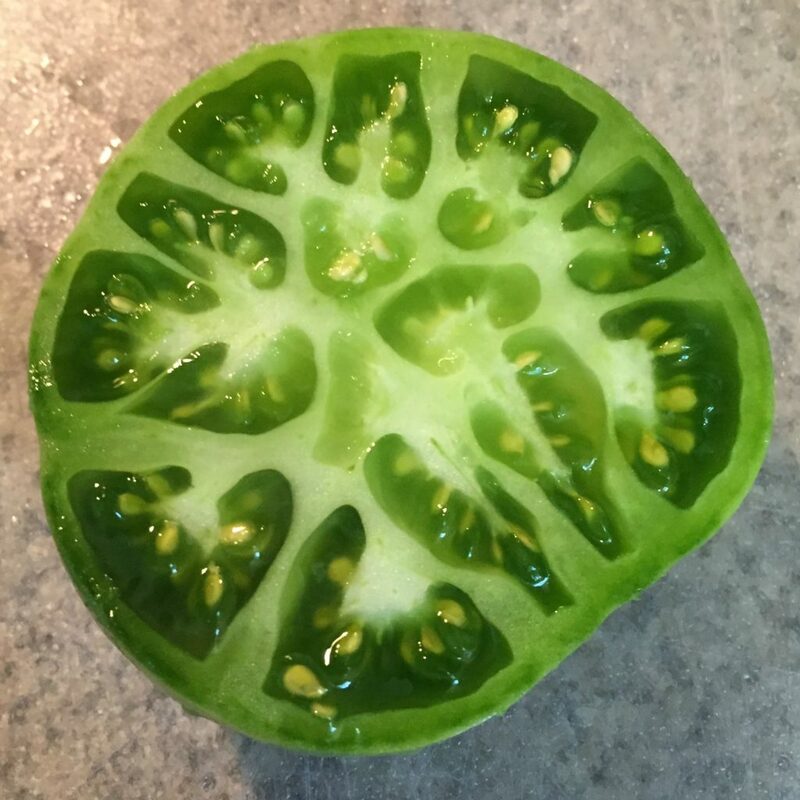 Start by slicing your green tomatoes. They stay pretty firm even when fried, so I sliced them thick, but they didn’t have to be overly thick. First, we dipped the tomato slices in flour. Then we dipped them in a mixture of half egg, half milk. Finally, we dipped in a breadcrumb mixture. We actually tried two different mixtures – one with breadcrumbs, and a different one using a mix of panko crumbs and nutritional yeast. We prepared a big batch of tomato slices to be fried. We heated up oil in a skillet, and fried the battered tomatoes, turning as needed. The slices floated in the oil, so they needed to be flipped, and you’ll need a decent amount of oil. 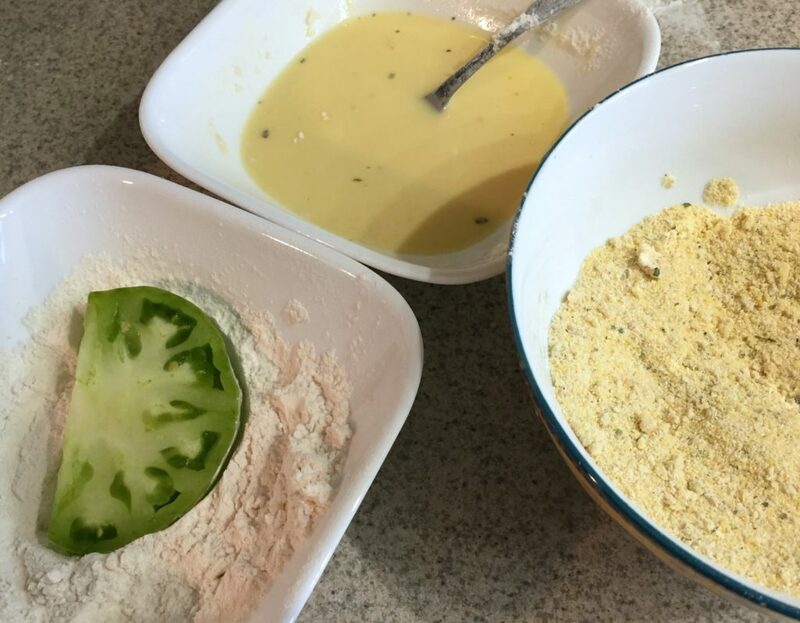 I tried both ranch dressing and sour cream with my fried green tomatoes. It was just the right balance in contrast with the acidity of the tomatoes. 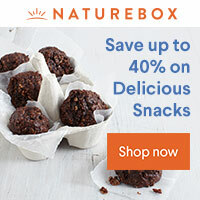 These are so delicious! 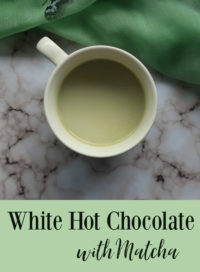 This seems like a tasty and different recipe for me to try! 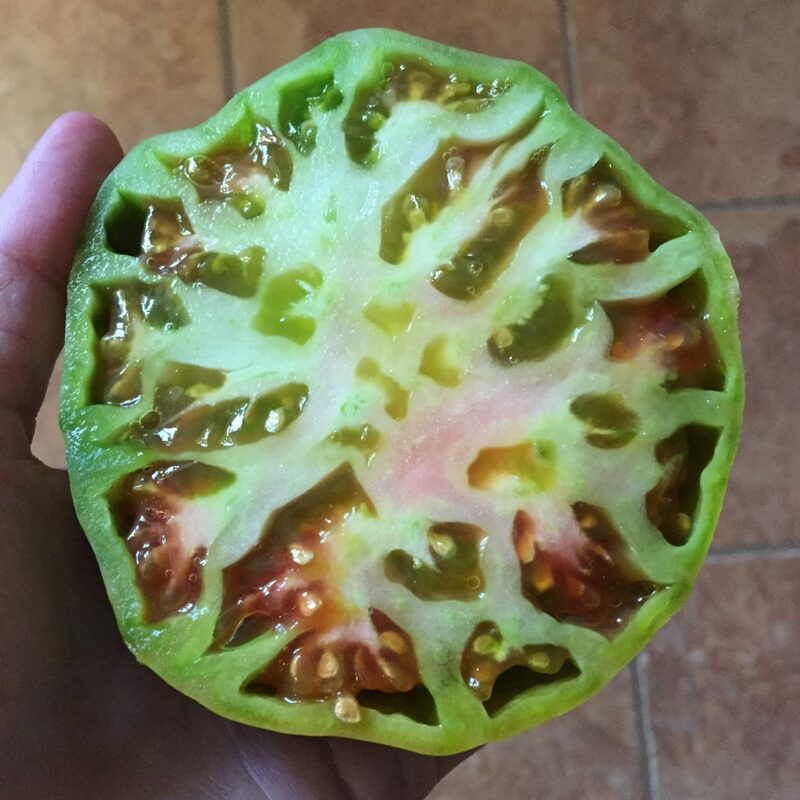 I would enjoy this and I would make a tomato sauce dip with it. I haven’t had this in so long! My parents grew up in North Carolina and it seems that’s all we ate every Autumn! I have never had these but I think I will try to make them this weekend. Mmm!! These always look delish and Ive been wanting to try them forever!! Pinned so when tomato season comes I wont forget! I have never had these before, but they look so good. There is nothing like tomatoes straight from the garden. I love fried green tomatoes! I garden and always allot myself o few of them green instead of waiting. My problem is everyone else wants them green too I have to watch the garden ha! I really love fried green tomatoes! I have never made them with Panko and yeast. 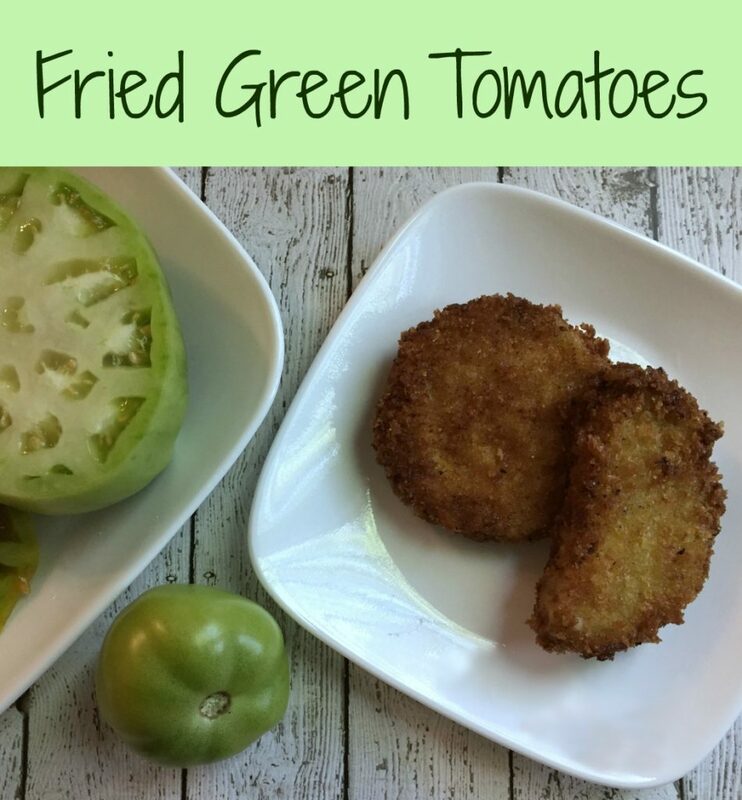 My family always ate fried green tomatoes but I would never try the,. These do look pretty good. I may have to give these a try. When I was a child I remember my mom making and eating these. I tried them on several occasions but never did like the. I think I need to try them again. The last time I tried them was over 40 years ago. I am sure my palate has changed since then. I think I will go out to the garden tomorrow and pick one and try it. 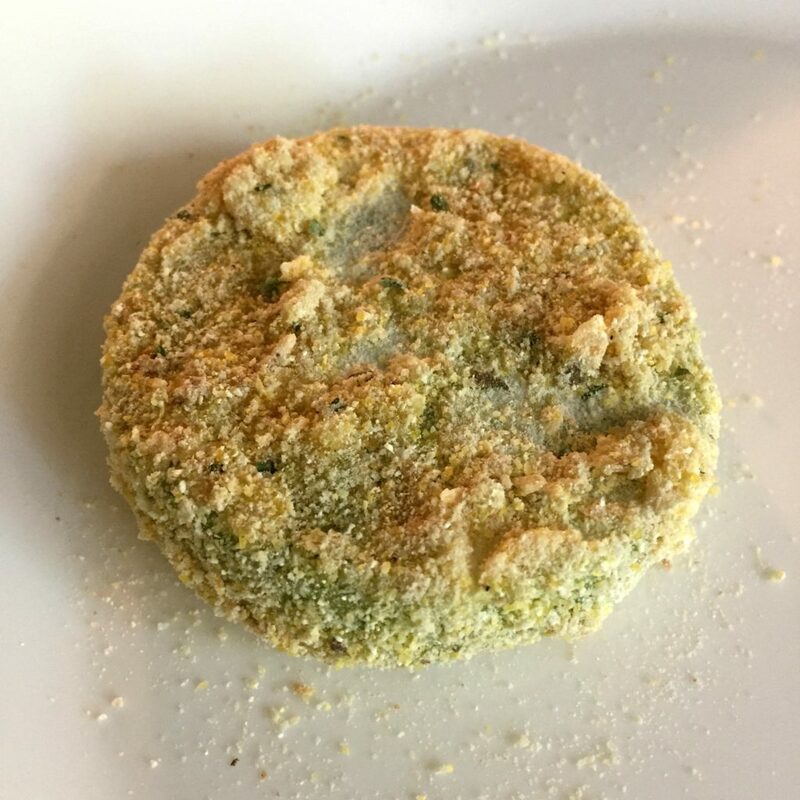 (Fried Green Tomatoes) My brothers and I just made a big batch of these over the Labor Day weekend when we were together. The tomatoes were from my garden that I grew over the summer, and they turned out so good too.